You can trust that you'll love your new suspension as the KONI brand only uses the highest quality raw materials and are machined to the tightest tolerances. No matter what KONI suspension you purchase it will give you ease of mind that it is tailor made and adapted to meet requirements for your specific vehicle. 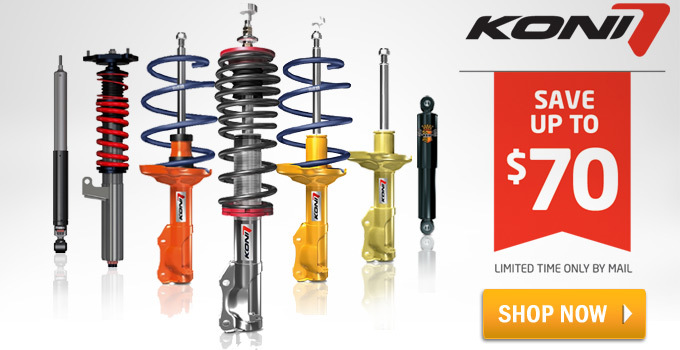 All suspension in the catalog is listed at 42% off MSRP and now until October 31st get up to $70 Cash Back when you purchase a set of four KONI shock absorbers or suspension kit! CLICK HERE to start saving today! Bump. A few more weeks left! Don't forget about this awesome rebate and savings! Deal ends tomorrow, 10/31!